Be a Problem Solving Detective! 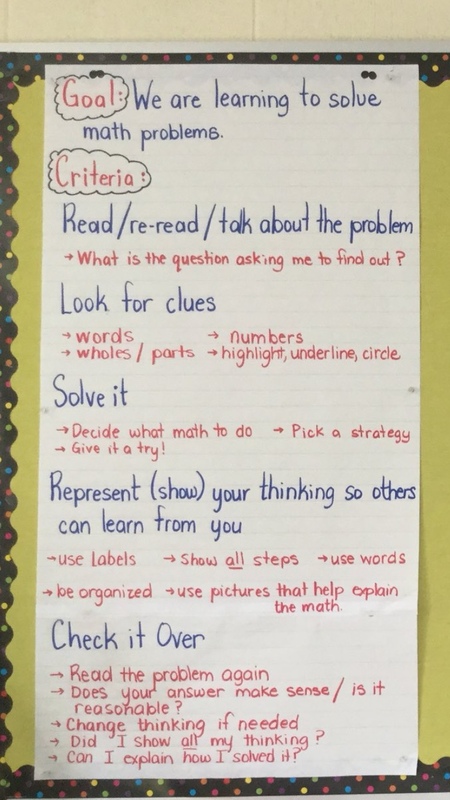 With the best of intentions we implement something e.g., a model or graphic organizer and think that this will be the solution to difficulties we are experiencing in the math classroom. In an earlier post I wrote that a challenge with writing is that something “three-dimensional” can often appear “two-dimensional” or linear in print. That is how I feel about the “Four-Step Problem Solving Model” or should I say how it may be interpreted in some classrooms. 1. How might we make the four-step problem solving model meaningful for students so that they become more effective problem solvers? 2. Are students following the steps in a prescriptive/ linear way or is this model helping them to become more confident problem solvers? How will we know if this model as it is being used is impeding or impacting student thinking? 1. What is the difference between “teaching through problem solving” and “teaching about problem solving”? 2. What does it mean to “teach about problem solving” in the context of “teaching through problem solving”? 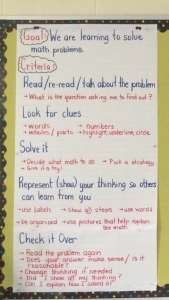 I have written a letter to students as a way to make my thinking visible around this model within the context of “teaching through problem solving”. Use this letter as you find most helpful. Let me introduce myself. My name is Mrs. McGinn. I am a teacher and I have the great pleasure of working in many classrooms in the area of mathematics. My work involves a lot of problem solving, so I thought I would share some of my thinking with you. I used to get anxious when given a problem, but now I feel much better about it because I have had many opportunities to solve problems in ways that make sense to me. I have learned different ways to solve problems by hearing and seeing how others solved the same problem. Often their way made sense to me, but I had not thought to do it like that. I hope my thinking will help you become a more confident problem solver. I know you can do it! Do the calculations ( or other work) that you have decided to do to get started. Your work does not have to be pretty, but you will want your solution to be represented in a way that makes it easy for you to share your thinking. Do not add any unnecessary details that detract from the important parts of your work. If you decide to include pictures, they should only be there to help you solve your problem or help you represent your thinking. Math pictures do not require the same detail you might include for other purposes. Change your thinking if you need to. Go back and reread the problem or parts of the problem at anytime to clarify your thinking or to see if you are on the right track. Detectives can get sidetracked with work they do not need to do. When you think you have solved the investigation, go back and reread the problem one last time and ask yourself these questions: Did I answer the question I was asked to solve? Does my answer make sense? If it doesn’t, you know what you need to do. their work every time, but will pick certain pieces to highlight the important information he or she wants to bring out. Everyone is expected to listen to, and contribute to the conversation that your teacher is facilitating. You might be asked to repeat or rephrase something that someone else has said. You might have something to say that builds on something someone else said. You might agree or “respectfully” disagree with someone else’s thinking. Remember, all cases do not get solved “correctly” every time, but mistakes should be seen as opportunities for learning. 1. Did someone else solve the problem in a different way from you? 2. Can you see the similarities and differences in the work? 3. Did their way make sense to you? If so, think about how you might try their way another time. Your teacher may notice that there are skills you need to practice in order to be an even better problem solver. There are times he or she will ask you to work with a partner, with a small group and there will definitely be times when you have to do it on your own. There will also likely be times when everyone else is working on a problem and you and / or a small group are working with the teacher. Your teacher is always observing your work , listening to you and making decisions on how to help you become a stronger problem-solving detective. He or she may give you some easier cases to solve at times and some more challenging at others. (Remember earlier when I said your teacher the head detective is learning from you.) S/He will ask you lots of questions as you work. S/He will not solve the work for you, but might ask a question that gets you thinking about how you might move forward. 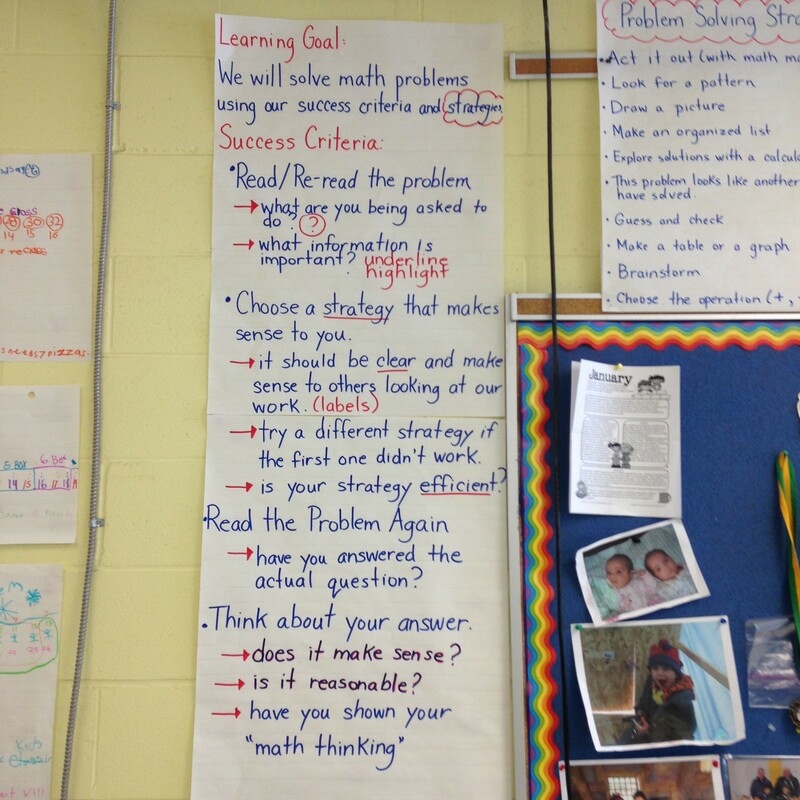 You will likely notice that he or she is documenting learning through observational notes, pictures or videos. Everybody is learning through your work including me! I would be thrilled to see some of your work or hear your thoughts about your problem solving journey. Some students and teachers have been sharing their thoughts and work through Padlet with me. Enjoy being a “problem solving detective”! 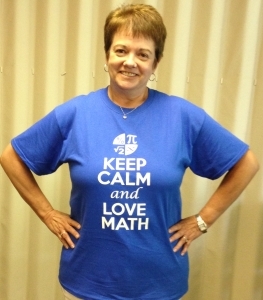 I am so excited to hear that research has confirmed that everyone can be good at math. We have to understand that we do not all learn in the same way and in the same time! Isn’t that exciting news!